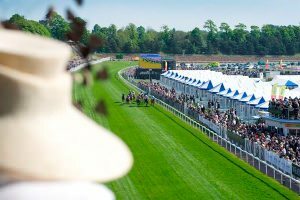 Eventmasters are delighted to provide official Chester May Festival 2019 corporate hospitality packages across all three days of this stunning flat racing event. The three days of the event; City Day (Wednesday 8th May 2019), Ladies Day (Thursday 9th May 2019) and Chester Cup Day (Friday 10th May 2019) all feature high-quality racing with the hospitality inside the Premier Course Facing Pavilions certainly matching the action on the track. Our Premier Course Facing Festival Pavilion hospitality facility provides stunning views of the final furlong as the horse thunder towards the winning line. Enjoy all the luxury of a first-class hospitality package, where you can entertain your important clients and guests in a conducive environment, while still experiencing an outstanding sporting spectacle. Wednesday 8th May 2019 The opening day of the Chester May Festival is certainly one not to be missed. The superb fixture opens in style with the MBNA Chester Vase, which celebrates it’s 101st renewal in 2019, taking centre stage. Thursday 9th May 2019 Ladies Day is one of the real highlights of the social and sporting calendar as the Roodee attracts the finest in fashion and style for a scintillating afternoon of world-class flat racing action. Friday 10th May 2019 Join Eventmasters for a stunning VIP experience on the final day of the Chester May Festival 2019. With £150,000 up for grabs in the day's highlight, the Chester Cup, there is certainly much for racing enthusiasts to relish. Chester Racecourse is one of the most beautiful and recognisable courses in the UK and is home to one of the biggest meetings of the flat racing calendar, The May Festival. 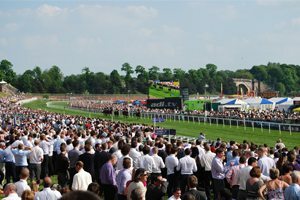 The opening day of the meeting is known as City Day as the crowds return to Chester Racecourse, to be greeted by a fabulous party atmosphere. A chance to see a potential Derby winner in action should not be missed on City Day of the Chester May Festival 2019. Following swiftly is Chester May Festival Ladies Day is one of the real highlights of the social and sporting calendar; as the Roodee attracts the finest in fashion and style for a scintillating afternoon of world-class flat racing action. The second day of the festival features a host of exciting fixtures, not least of all the Boodles Diamond Ormonde Stakes which boasts prize money of £100,000. A must see race for any avid enthusiast. The final day of the meeting features one of the most historic handicap races of the season as the Chester Cup takes centre stage. The race was first established in 1824 and has been a major race of the season ever since. 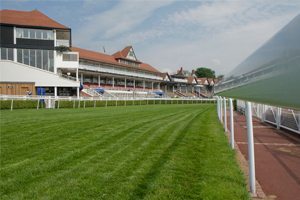 Run over a distance of two-miles and two-furlongs it requires great stamina, speed and tactical nous to win the race on the tight turning track at Chester. In 2016 the race was one of the most thrilling in recent memory as jumps trainer Nicky Henderson claimed his first Chester Cup as No Heretic got up on the line to deny Nakeeta in a photo-finish. Chester Cup Day 2019 promises to be another classic event, don’t miss out on the chance to experience this historic race in VIP style. Don’t miss your chance to be part of this magical event.